The ContiPremiumContact™ 5 - The perfect all-rounder which combines comfort and safety at the highest stage. The ContiPremiumContact™ 5 is the new allround premium tire for vehicles in the compact, mid-size and full-size category. The allrounder boasts extremely short braking distances on dry and wet roads, low rolling resistance, safe driving properties and comfortable handling characteristics. To realize all of this, Continental's development engineers imbued the ContiPremiumContact™ 5 with a host of improvements. The optimized 3D edges are what make for shorter braking distances than in the case of the predecessor model. Adapted from the ContiSportContact™ 5, the macro-blocks guarantee safe handling and better transmission of cornering forces. A new carcass – adapted this time from the ContiEcoContact™ 5 – enhances comfort and reduces the ContiPremiumContact™ 5's rolling resistance. Short braking distances on dry and wet surfaces. Newly developed 3-D edges prevent the tread blocks from curling and deforming while braking, providing even pressure distribution. Additionally, block edges penetrate the water film on the road in wet conditions, similar to a windscreen wiper. This results in even shorter stopping distances on dry and wet surfaces in particular. Computer-optimised macro blocks maximise the contact area of the tyre when strong lateral forces are present and when braking or changing lanes at high speed. In addition, they provide considerably improved tread stability – for perfect handling and outstanding grip, even in extreme driving situations.Comfortable driving and improved rolling resistance. The combination of a flexibly designed tyre shoulder and reinforced bead area ensures optimum flexibility with increased stability of the side wall. This results in noticeably more comfortable driving with perfect handling and improved rolling resistance. For mid-sized and executive class vehicles. 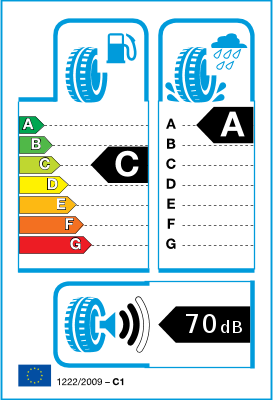 The perfect all-round tyre, matching performance with safety. Engineered in Germany, Continental offers premium tyres with optimum braking performance and safety. Perfect grip, optimal handling and short braking distances in every driving situation. Trusted by leading car manufacturers, including the models eg. Audi A3 and Volkswagen Golf VII. Excellent all round tyre, best I have used in the wet and little change from dry performance. Very stable at speed on wet motorways. Excellent quality as usual by continental, will be adding a set to our other car very soon. 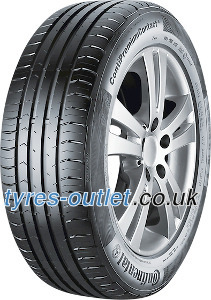 Excellent tyre, performs brilliantly in dry and wet conditions. Only complaint is the wear rate is a bit faster than other tyres I've used but its an acceptable draw-back considering the performance it excels in.